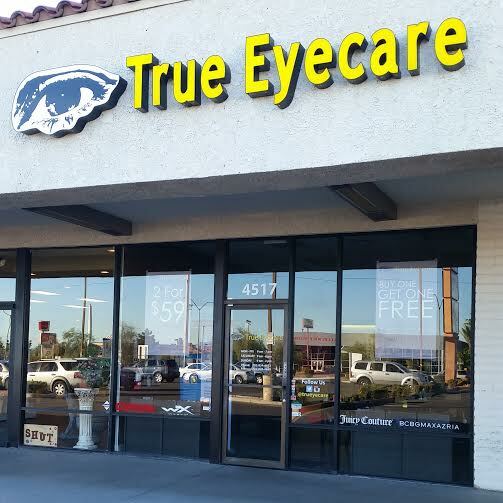 At True Eyecare, we believe in class, quality, variety and flexibility. With that in mind, we offer a wide variety of designer glasses from top brands in the industry. In fact, when you visit our store, we will be the first to tell you that choosing the wrong pair of glasses could make you look washed out, disproportionate or just plainly unattractive. We care and can help you find the right pair of Designer Glasses that will not only be attractive on you, fashionable, flattering, but also affordable, which is of great importance whenever choosing a provider for eye glasses. Choosing the right pair of frames, not only from True Eyecare but generally, can flatter the color and shape of your face giving you confidence and your own sense of style. We are very keen on the latest advancements in technology and so you can be sure, our eye glasses incorporate the latest technology in the industry. As technology advances, so do eyeglass lenses and we promise never to be left behind! In the past, eyeglass lenses were made exclusively of glass. Today, most eyeglasses are made of high-tech plastics. These new lenses are thinner, lighter, and more impact resistant than glass lenses and can be enhanced with various coating to help protect and improve vision. for you round the clock to ensure that we offer you the best ever, unparalleled eye care services. We promise to always be there for you and provide you the best services. We work to develop a great relationship with our clients and all are very happy. We take care of your needs passionately and with understanding that we all want the best…which is exactly what we offer our clients. Originally from San Diego, Ca. DJ relocated to Las Vegas in 2003 and has been in the optical field since 2009. He has a degree in Business Management and Ophthalmic Technology along with his ABO, NCLE and Nevada State Ophthalmic Dispensing License. DJ believes in providing customers with the highest level of service and delivering eyewear to patients with the highest quality and precision. Originally from Detroit, MI. Ty relocated to Las Vegas in 2007 and has been in the optical field since 2008. She has a bachelors degree in Psychology from Michigan State University along with an Associates degree in Ophthalmic Technology from the College of Southern Nevada. Ty also has her ABO, NCLE, and Nevada State Ophthalmic Dispensing License to add to her accomplishments. Ty believes in building lasting relationships and providing honest service to her patients. Originally from Olongapo City, Philippines. Virginia relocated to the United States in 1979. She is a pre-med major from University of the East, Manila, Phillipines. Virginia also has her ABO, NCLE, and Nevada State Ophthalmic Dispensing License and has been in the optical field since 1988. She has worked with optical companies owned by the US Navy and Luxottica. Virginia believes in providing the best customer service that will create a lifelong customer. I was going to eat at the Egg and I with my girlfriend and noticed True Eyecare so we stopped in to look at their frames and didn't realize the great prices they have and selection of frames. My girlfriend ended up buying 2 pairs of glasses and when I need get my new prescription, I will be back to purchase. I broke my glasses and couldn't afford to buy new glasses and True Eyecare fixed my glasses and didn't charge me. When I have the money to buy new glasses, I will definitely come back and buy at True Eyecare. They are very nice and helpful. I love this place, the prices were great and they had a great selection of frames to choose from. I even got my glasses the same day which I wasn't expecting since they were a smaller store but they were able to do it!! I would recommend everyone to go to True Eyecare!! We now take "Care Credit" which is a deferred interest credit card used towards healthcare expenses.